Our Summer House in the Lower Gardens at Craig y Nos Castle is now available for Ceremony Only weddings weekdays and weekends. The original century old Summer House which dates back to the time of Adelina Patti has now been restored thanks to several years of work by skilled carpenters. 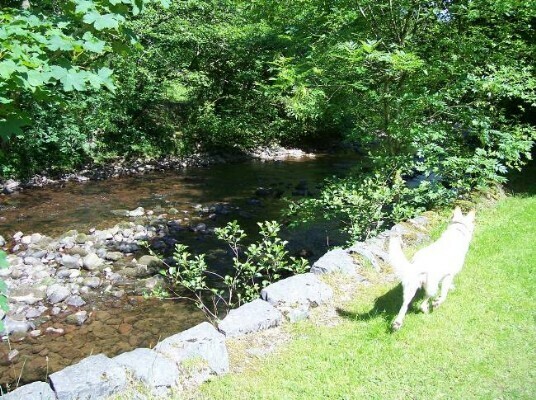 This work was completed by volunteers giving their own time free of charge - thanks to them and to Craig y Nos Country Park for their invaluable work. 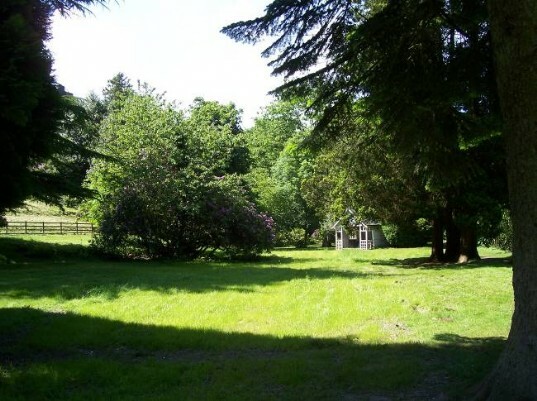 The Summer House, having long lain derelict and out of use, is ready to accept wedding bookings and has its own wedding licence! Up to date pictures will follow once we have put in the finishing touches, meanwhile see plenty of pictures of the Country Park and Lower gardens on this page. We'll place a small marquee in front, for guests to take cover if it is raining. The summer house itself is small, dating back to 1880 so it is historically important, and can only seat the Bridal Couple and the Registrar. Your guests will be assembled on chairs in the garden area in front of the Summer House (or seated within the Marquee if it is raining). The Marquee is only put in place when we have summer bookings, so as not to let it get too weather-worn. The summer house won't be finished for a couple of weeks yet, so until then, this page is showing pictures of the lower garden and summerhouse as it was before restoration. Where and at what Tariff - Breakfast room for small intimate wedding ceremonies - £250 - see Breakfast Room. Opera House for larger wedding ceremonies - £600 (Sun-Thurs only) - see see Opera House. 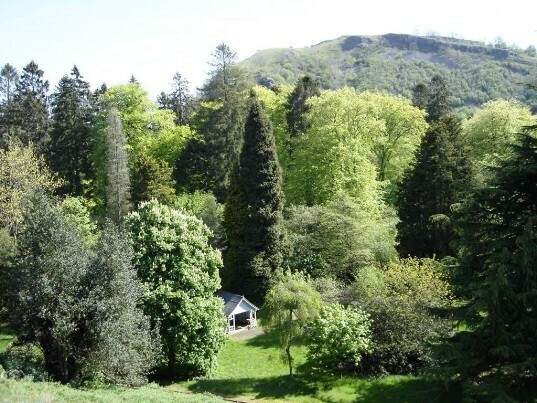 You have access to the 'Summer House', 'Craig y Nos Country Park' and the 'Castle's Lower Gardens' ONLY. 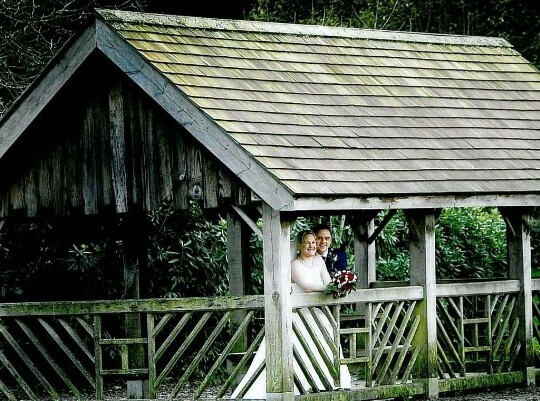 You have full access for Wedding Photography in the lower gardens, all of Craig y Nos Country Park which is open to the public, and to the Summer House. 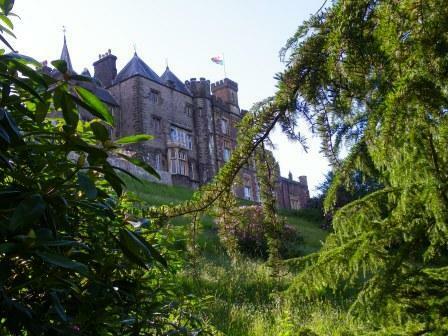 There is no access to the Upper Gardens at Craig y Nos, the Courtyard or the Main Castle as there will, most weekends, be an exclusive use wedding in the main building, having sole use of the Castle's ground floor function rooms, courtyard and front and rear car parks. 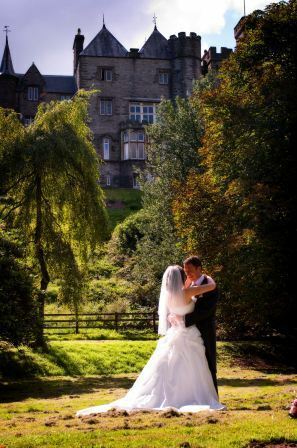 If there is no wedding on at the main Castle, access to the Castle and Upper Gardens for further Wedding Photographs may be arranged with us at no charge, subject to availability. Carriages and Guests Cars please only park in Craig y Nos Country Park's pay & display Car Park (not the Castle car park). From here you and your guests have reasonably level (wheelchair friendly) access to the Castle's Lower Gardens either via the Country Park steel gates (short route) or you can walk through to the Boating Lake and circle around to the Lower Gardens along the gravelled paths (longer but more scenic route). 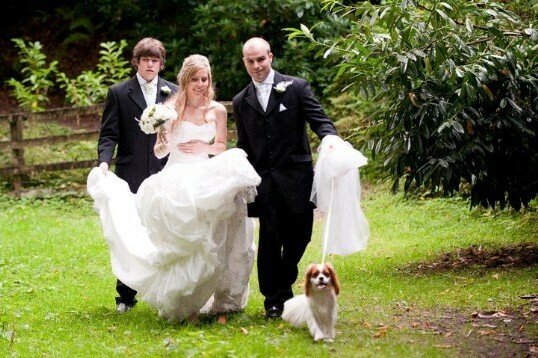 Arrange with the Country Park if you require the steel gates to be opened for your guests to walk straight through. This wider entrance also offers access to the lower gardens for the Bridal Carriage only (not for guests cars) which you may arrange with the Country Park direct. No access to main Castle. 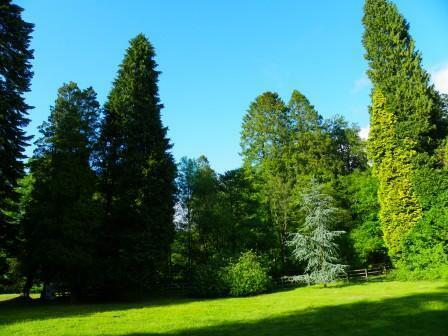 Car Parking spaces may be reserved for your Wedding Party by direct arrangement with Craig y Nos Country Park. 1. Welcome Drinks at £5.00 per guest served in Marquee, or outside in the gardens if weather permits. 2. Small Marquee seating 40 guests - available at no additional charge. 3. Manned outside bar, placed in Marquee or outside in garden, available upon request and at no additional charge. 4. Selected Approved outside Caterers are allowed - discuss with your wedding planner as we must first assess / approve any external supplier to ensure they are a professional, licensed and fully insured outfit. We will need to agree exactly what any outside caterer are providing and what we may be required to provide, so everything is properly co-ordinated (e.g. are they providing waitress service or are we?, what food is being served?, who supplies the cutlery and plates?). There is a limit of 40 guests dining in the Marquee. A £300 pitch fee will be charged to all outside caterers. Additional charges will apply if we are required to provide waitressing support, cutlery and plates, table linen and so forth. 5. 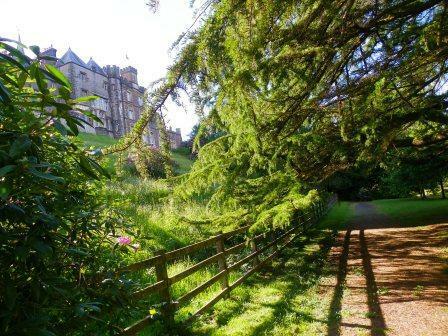 Accommodation for guests may sometimes be available in the main castle, subject to availability. 6. Afternoon Teas option. You can also add an afternoon tea package your wedding ceremony in the garden, with tea in the marquee, so no need to hire external caterers. Following Prince Charles's visit and his requirement we have hundreds of cake stands (a charity event where everyone had their own cake stand! ), we are now well equipped to provide 'tea in the marquee' offering your guests our stunning selection of sandwiches and cakes. You pay £25 a head for an afternoon tea to include a pot of tea of your choice, two glasses of pimms and a generous selection of delicate cut sandwiches and mouthwatering cakes, scones and cream. Minimum of 20 guests for this package - so £500 for 20, or £1000 for 40. So you could have your wedding ceremony, and 40 guests having afternoon tea, for £1350 all in, plus a manned bar. 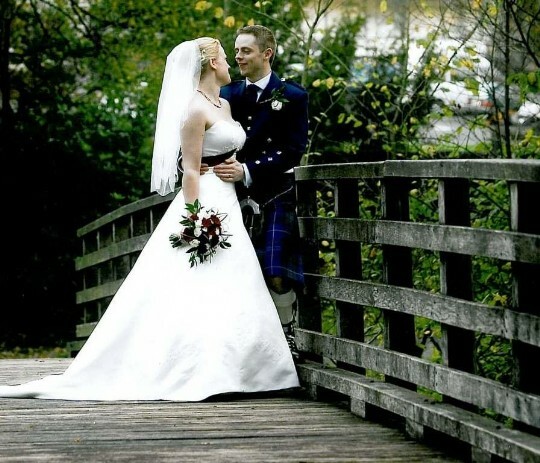 The timing of your Ceremony depends on the availability of the Registrar. The more 'short notice' you book, the less flexibility on timings you will have. Please check the Registrar's availablity and book them in for a specific ceremony time before confirming any booking with us. 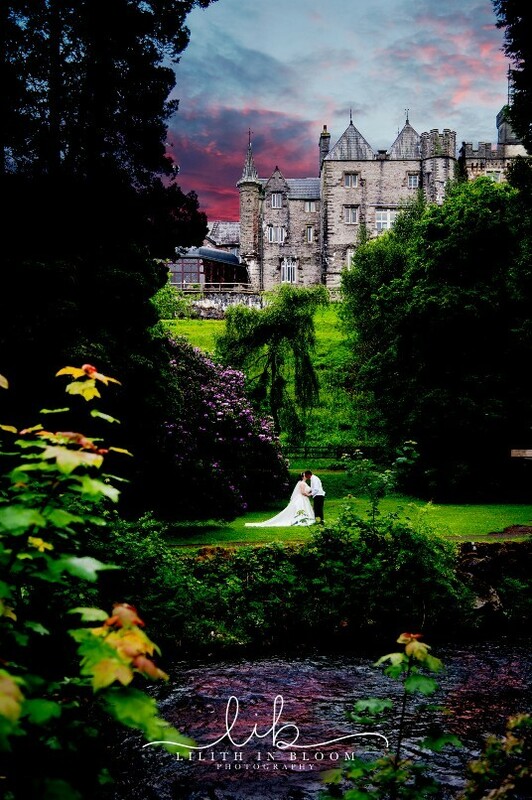 At weekends the registrar will most likely be booked for a wedding at the castle, and they may have other venues to go to before or after us. 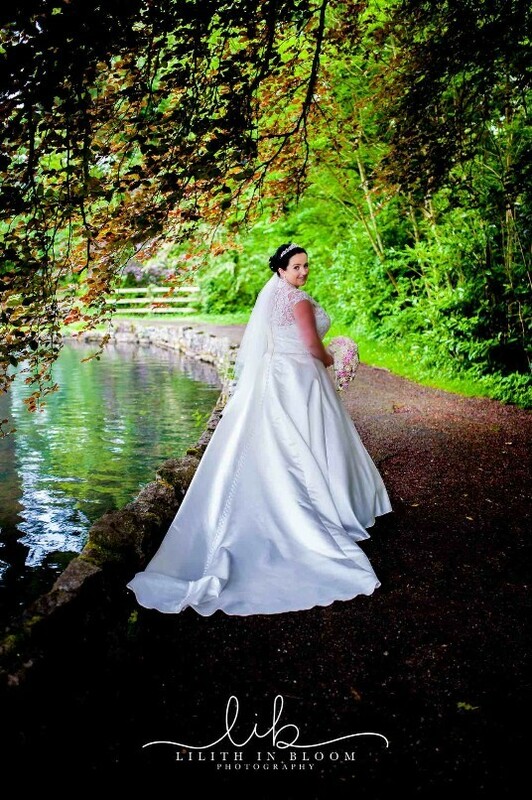 If you are making a 'late booking' they will probably want to fit you in before or after the already booked ceremony at the Castle, rather than go on to another venue and then come back. This means you may need to fit in with the times the registrar has available for your ceremony, rather than be able to choose your own preferred wedding ceremony timings. Bookings for Ceremony Only Weddings are not exclusive for the whole day, just for the timed duration - the 'booked period' - of your wedding. 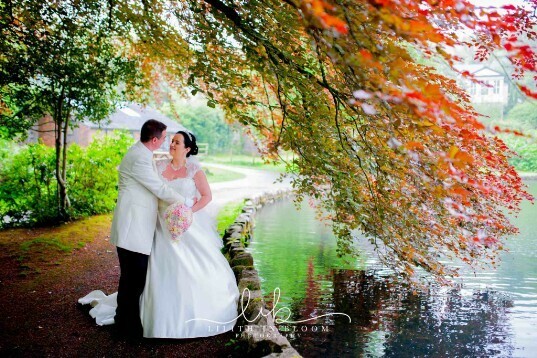 We may accept more than one Ceremony Only Wedding at different times on the same day, subject to existing bookings, our own availability, and the availability of the registrar.